France is a beautiful country, also very popular with tourists. If you visit France, you can not miss to visit Paris, its spectacular capital city, they say. But what about the picturesque rural sites of France? There are some fantastic little villages here that evoke the medieval France. These are perfect romantic holiday destinations for couples, but families with children will also adore the peaceful atmosphere, narrow streets and friendly local people. A number of 155 villages of France have been awarded the “most beautiful villages of France” award. Below I will be present 5 of them to help you make a decision over you holiday destination. The picturesque village of Le Faou is situated in the north-eastern part of the Crozon peninsula, in south-west of Brest, Brittany. It is listed among the most beautiful villages of France, situated in the Armorique Regional Natural Parc. Le Faou lies in Brest harbor. It was once a bustling port town. There are several houses that remained almost intact from their golden age, the 16th century. There is also an interesting church in Le Faou, the Church of Saint-Sauveur which was also built in the 16th century. It has an unusual decorative bell tower. There are guided walks around the village which include a visit to the church, a walk along the harbor and also visiting the most interesting buildings in the village. La-Roche-Guyon is a small village located on a broad bend of the Seine River. 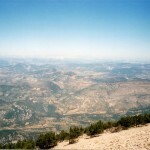 It can be found in the Ȋle de France region. The village originally developed next to the river. There is a medieval castle here, the remains of which still stand on the hill behind the village. La Roche-Guyon is divided into three “parts”: the village itself, a large 14th century castle and the medieval donjon. The village lies on the grounds of the Natural Park of Véxin and is an attractive traditional village. One of its attractions is the 15th century Church of Saint-Samson. Other small highlights of the village include the 18th century fountain and some spectacular buildings. The remaining of the castle stands on a hill behind the village which provides stunning views over La Roche-Guyon. Located on a limestone hills, surrounded by vineyards, this scenic village is an unusual village in Alsace, as the buildings are not painted. It is situated about 30 km south-west of Strasbourg in the Bas-Rhin department of Alsace. Mittelbergheim has been a wine-growers village since the 17th century and today almost every fourth house is a wine house offering degustation for visitors. There are also eight wooden wine presses still in existence in Mittelbergheim. 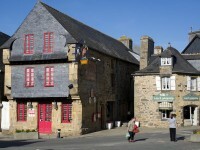 Besides the two churches of the village, there are other attractions, such as the ancient oil mill and an ancient well located on the Rue Principale. The landscapes of the village and its surroundings are spectacular. Trust me, it’s worth visiting it! The small village in the Indre department of central France, about 10 km south-east of Argenton-sur-Creuse is situated in a peaceful setting, in the valley of the River Creuse. It is considered one of the most beautiful villages of France. The combination of the river, the pretty houses, the historic castle around which Gargilesse developed and the church result a picturesque and attractive landscape. Gargilesse Castle dates from the 10th century. The impressive castle entrance with towers on its both side dates from the 12th century. By the end of the 20th century it was renovated and turned into a modern art museum. Another important monument of the village is the 12th century Roman style Church of Notre Dame, inside of which there are numerous exceptional carved stones. This charming little village is situated in the Vézère valley. It is very attractive having scenic streets with honey-colored old houses joined by pretty alleys. Despite of being a small village, there are numerous attractions here. There is a beautiful church here which was built in the 12th century, in shape of a cross, having a wonderful bell tower. 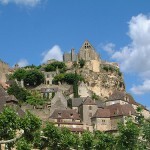 There are also two castles in Saint Léon sur Vézère. 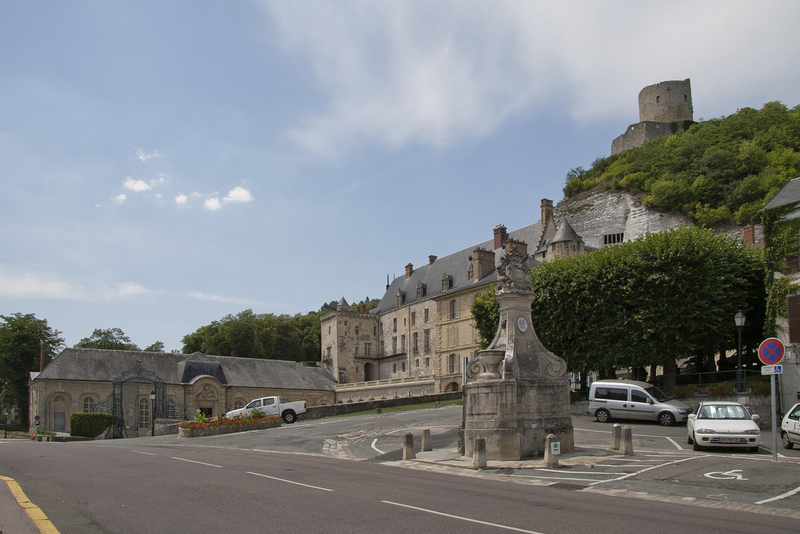 One of these is located in the centre of the village, the beautiful Chateau de Clerans which was built in the 16th century. Plenty of restaurants and cafes are waiting for visitors here. There is also held in the village a classical music festival every year.